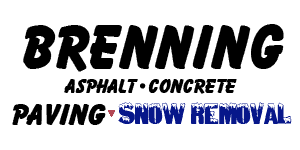 Welcome to Brenning Paving and Construction, an Ottawa-based construction firm providing a variety of commercial paving and construction services across Ottawa. If you are looking to work with professionals who use the right tools, follow the correct procedures and work as a team – you’ve come to the right place. With our help, you can get the high-quality results you need from one of the most reliable paving companies Ottawa has to offer! We are friendly, fast, engaging and professional. Nothing is left to chance during the job as we talk through each part of the process with you beforehand to ensure you are 100% comfortable with the direction of the job. Having over four decades of expertise in commercial paving, we know the standards required as well as the level of detail, attention, and quality of material needed to make for an exceptional finished product. Are you in need of assistance with asphalt paving? Then contact us today. As the kind of trusted paving contractors Ottawa businesses can rely upon, we consistently deliver a job that maintains quality and appearance over time. We make sure that you get the work you need to be done — at a price that you can appreciate. Ever since our conception 40+ years ago, we’ve worked tirelessly to deliver a service that our clients can enjoy for years to come. Paving should be a foundation that lasts for many years and when the job is done correctly, it can do just that. We work together as a team to provide a paving solution that is guaranteed to fit with your needs and requirements moving forward. We are committed, accomplished and capable of handling even the most challenging and obscure paving jobs. We pride ourselves on being a business that works hard and offers a reliable, effective starting point for consultation on paving. Having worked over the years to find solutions to several challenging issues, we use our teamwork and our experience as Ottawa commercial paving contractors to exceed your expectations. Reliability is vital, and we assure that each client is left with a high-quality finish that looks outstanding and lasts. If you want paving that can handle the elements and day-to-day usage, get in touch with us at Brenning Paving and Construction. We are proud of our work within the community — making sure that all road work, parking lots, asphalt repairs as well as any other job that we take on will last for years to come. Brenning Paving and Construction wants to see the city looking as great as we know it can. Since we play an important role in helping local businesses take things to the next level, we understand the importance of doing our bit to deliver the finest finish possible. Everything we do is carried out in a manner that is going to get you the help you need for a quality paving finish. We offer a wide range of services, so feel free to contact us if you would like to arrange a consultation about any of the work that we can provide. Your one-stop shop for commercial paving in Ottawa. Including road-work, parking lot paving, and asphalt repairs. Speciality concrete services. From cast-in-place concrete fittings to rehabilitating old fittings to modernize and repair them. Brenning Paving and Construction has the experience and expertise to solve even the most complicated concrete issues. Experts in commercial snow removal. Including parking lots, construction yards, private property and more. Outdoor Self-Storage. We have several acres of yard space in Ottawa, close to the Airport. Get in touch for availability. Excavation and back-filling. We work to make sure that large areas can be emptied quickly and in a timely manner, ensuring that construction is never held up for too long. Need any help with any other service? Then don’t hesitate to contact our team. We provide a wealth of other services, too, from residential driveway paving to site improvements. At Brenning Paving and Construction, we don’t only provide access to one of the most reliable asphalt companies in Ottawa. We also make it easy for you to get the project moving. We offer free estimates, so if you would like to go the extra mile with your upcoming project then please contact us today! During your free estimate where we will make sure you fully understand the scale of work involved, and how the project could be improved. We look forward to helping you make the positive changes that you need for lasting success on the ground level. Get in touch through our contact page or call us at (613) 822-1316.